Can't Transfer Music to iPhone ? The Fixes! Can’t Transfer Music to iPhone ? The Fixes! Part 1: How to Fix "Can't Transfer Music to iPhone"
How to Fix "Can't Transfer Music to iPhone"
First of all, why can’t I transfer music from iTunes to my iPhone in the first place? Well, usually it’s because there’s a problem with your sync settings on iTunes. Many times, they may be badly configured and you don’t even realize it. Transfer music to iPhone without deleting the old music on iPhone. Export iPhone music to iTunes library/computer/external hard drive and build a huge music collection. Sync in both directions- two-way transfer between iPhone and PC/iTunes freely. Edit your music info, including artwork, album, name, playlists, and more. Trusted by thousands of users (every year) and reported by well-known media around the world. 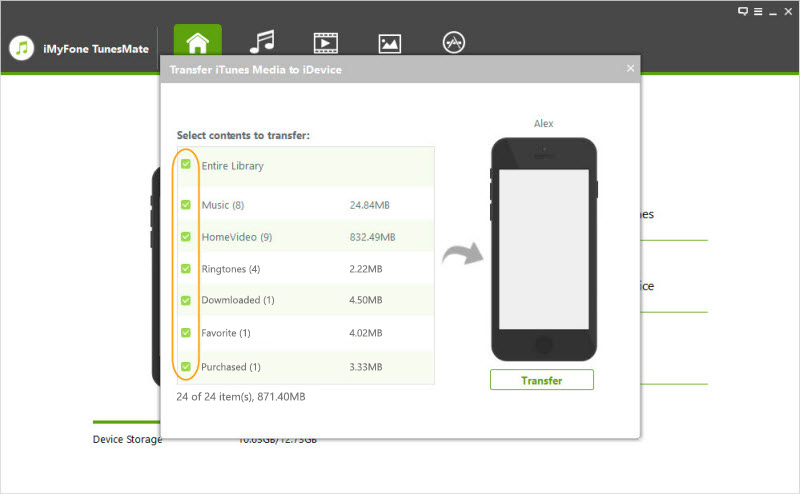 You can download iMyFone iPhone Transfer free trial and follow below to fix "cannot transfer music to iPhone". 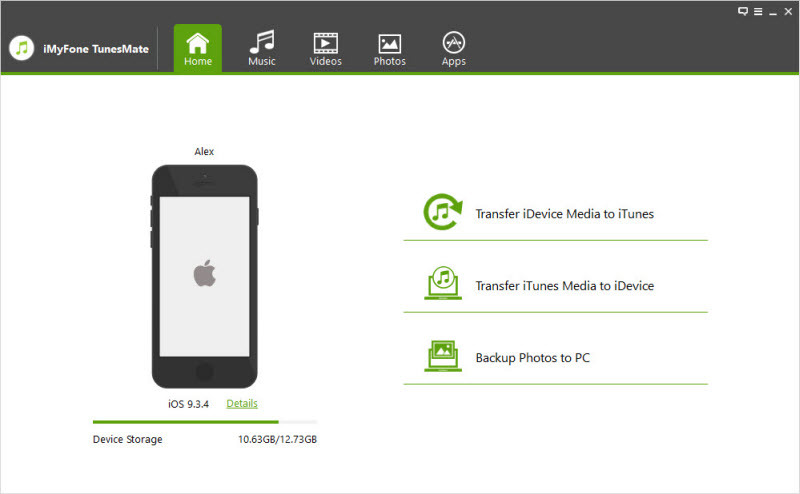 Step 1: Download and install iMyFone iPhone Transfer. Plug in your iPhone and launch the transfer application. Make sure that there is enough space on your iPhone to be able to receive the music files. Often, this will solve the problem. 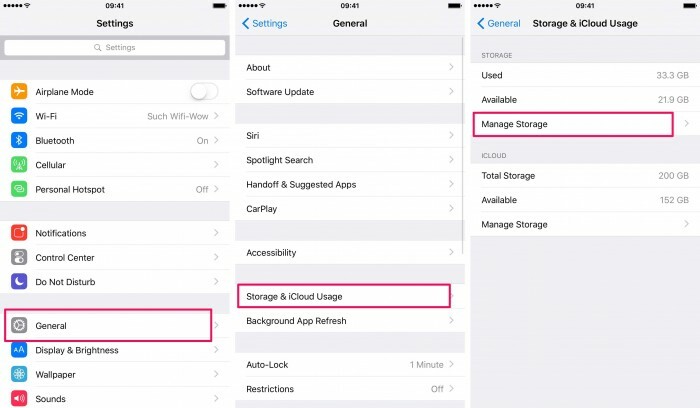 You can check your space by going to Settings > General > Storage & iCloud Usage > Manage Storage. In the “Storage” section, you’ll be able to see how much space you have left. If not enough space, then you’re going to have to free up some room first. 02 Turn Off "iCloud Music Library"
Sometimes all you need is an update. 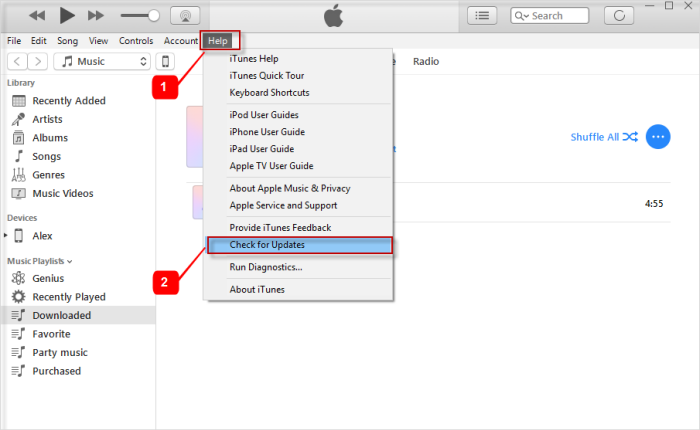 Make sure that iTunes is up to date by going into the “Help” menu, then “Check for Updates.” If it turns out that you need an update, then go ahead and allow your computer to download the new version. You should also try turning off “Show Apple Music” if you still can't transfer music to iPhone. First go to on your iPhone. Go to Settings > Music, and turn off “Show Apple Music” by switching the little slider to the “off” position. Next, go on iTunes, click on the Edit menu, then go to Preferences, then General, then turn off Show Apple Music. After that, click OK.
Swap the cable out with another one and try that. If it still doesn’t work, you might want to try a third one before you dismiss this as the source of the problem. It could be that iTunes just can’t find the songs on your computer and hasn’t told you. Go into your iTunes library and make sure that the songs listed still point to the right places in your computer’s folders. If you moved any of the music files, you may need to show iTunes their location again.